I don’t know how this survey was conducted, but since this is average household income and not average individual income, it also bears thinking about the kinds of households that each type is inclined to form. SJ’s are the most likely to get married, but also the most likely to have a stay-at-home mom. I’d like to say that S’s and N’s are inclined to marry within their own groups, but (as much as I wish that were the case because it seems obvious to me that S’s and N’s live in completely different worlds and have a hard time understanding each other) I haven’t seen any evidence to suggest that. However, I do suspect that the large income disparity within the NT Rationals might be due to the fact that they are less likely than other types to marry, especially the NTP’s. Among all types, T’s and J’s lead in education level, and I think the reasons are obvious. E’s seem to have a little bit of a lead over I’s, but it doesn’t seem to make as much of a difference here as when it comes to income. That makes sense because social skills aren’t really important to succeed academically as they are in the working world. I think the difference is probably due to the fact that E’s are more attracted to higher education because of the built-in social opportunities. 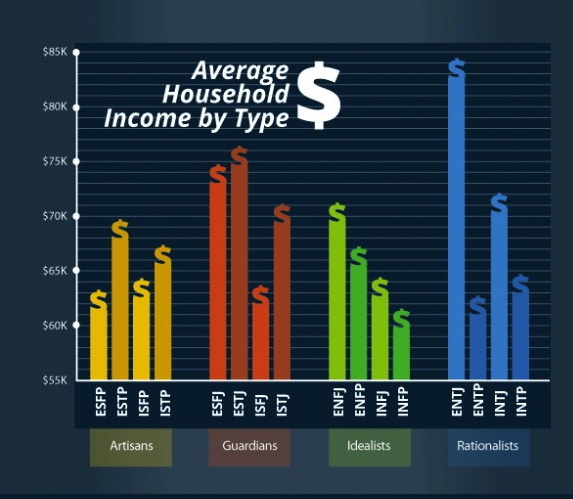 ENTJs rank number one, for much the same reasons as their number one ranking in income level, and INTJs are next. Their NT makes them value intellectual pursuit, while their J helps them to achieve their goals and thrive within the structure of an academic environment. 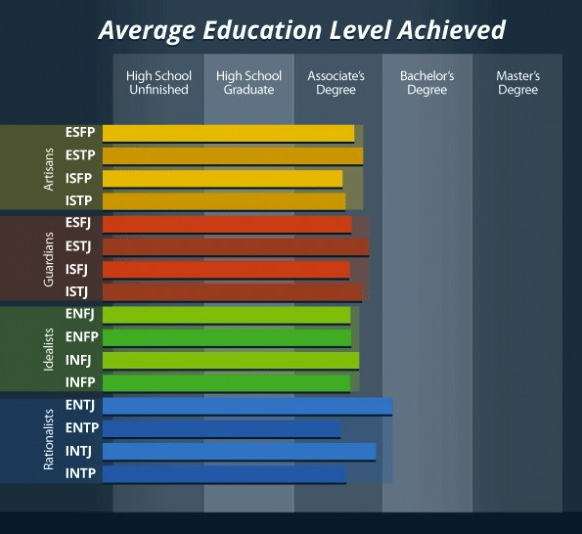 ENTPs and INTPs have the lowest average education levels of all types. NTPs lack drive and follow-through, and though they are highly intellectual, they may see formal education as too restricting and prefer to pursue their interests outside of a structured school environment. However, I’m surprised that ENTPs rank lowest here. I would think that given their extraversion, they would be more inclined to pursue higher education in order to socialize with others who have similar interests. 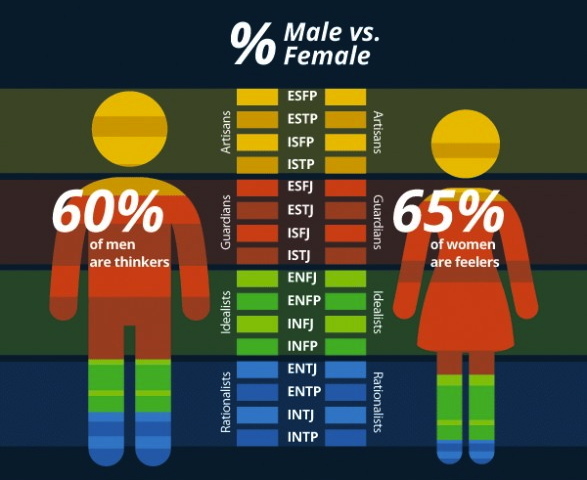 This is a good breakdown of the prevalence of each type by gender, which I touched on in my overview of Myers-Briggs. There is a clear gender divide when it comes to T’s versus F’s. In addition, the majority of men are P’s, while the majority of women are J’s. E’s and I’s are about equal in both genders. INTPs (and all NTs) are a lot more rare among women than men. Relating this back to the income level graph, there is obviously a gender divide when it comes to income, but I’m not sure if that can explain any of the income disparities between types. T’s out-earn F’s and men are more likely to be T’s, but the very fact that men are as likely to be T’s as women are to be F’s suggests that these gender differences are cancelled out when you look at household income as opposed to individual income. And without knowing the likelihood of J’s marrying other J’s or I’s marrying each other, I don’t know if this graph can really shed any light on the income graph. But while we’re on the subject, I am dying to see a study on Myers-Briggs types and relationships: the relationship status distributions of each type, the types that each type is likely to pair with, length of relationship and length of marriage (as well as relationship satisfaction ratings). These days there is also a gender divide in education, with women more likely than men to pursue higher education. I don’t think that’s reflected in the education level graph because that’s a fairly recent regime shift, but in future years that might cause the F’s and J’s to pull farther ahead in average education level. 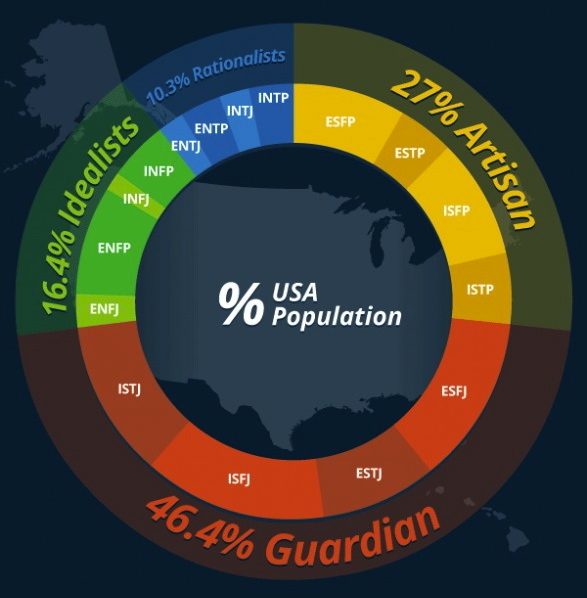 Finally, this is an overview of the distribution of personality types in the U.S. Nothing to really analyze here, but the dominance of S’s, especially SJ’s, is glaringly obvious. This graph is a reminder that we live in an SJ society, and we NT’s who are most dissimilar to SJ’s have it rough. Hi I saw your blog on Wedding Bee and thought this was a really neat topic. I’m an INTJ – go rationalists! 🙂 As much as I’m good with being an introvert, I’m a little depressed now to see this confirmation of how much it impacts a person’s work life. Ahhh pretty graphics. No idea where you found them but these are so cool. While I was studying education (my longterm career path) I was pretty psyched to see distributions of type in teaching by grade level. I meant to ask how you felt about the education breakdown suspecting your daughter is an NF. Wonderful study, but not accurate on the individual level. I’m an INTJ/P; my husband is an INTJ. The graph might have been accurate early in our careers, but not as we’ve gained experience and expertise. We are not confined by convention. I have more education than he does and make less money, it’s true. 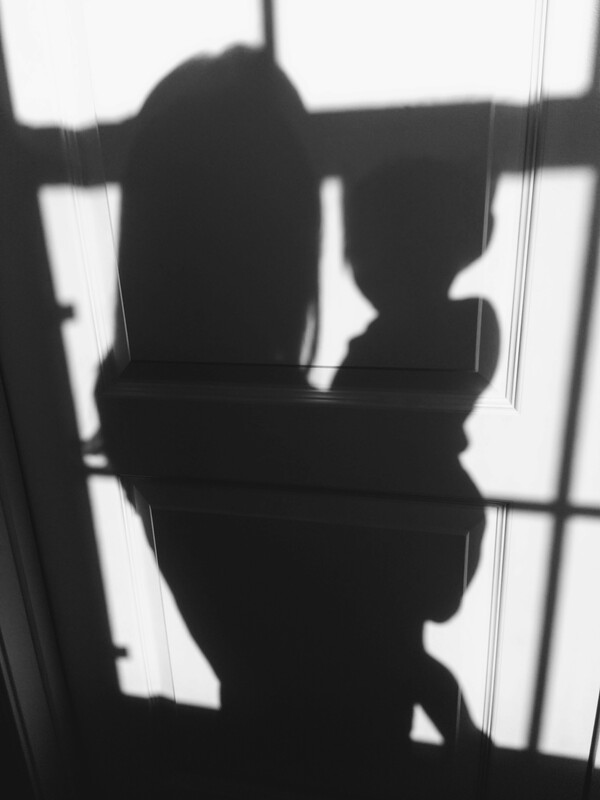 But I also have passed up opportunities so that I could keep a 40-hour work week (rather than the 80 hour weeks most lawyers spend) so that I have more time with my kids. Trade-offs.